In the corner of our garden is a large thorn tree. A very large thorn tree. It was big when we moved into this house 30 years ago come December, but it is now much bigger. And for the last three weeks it has been in its spring livery of yellow catkins. The catkins are now almost ready to disappear, and the first shoots of green leaves are beginning to appear at the end of the branches. 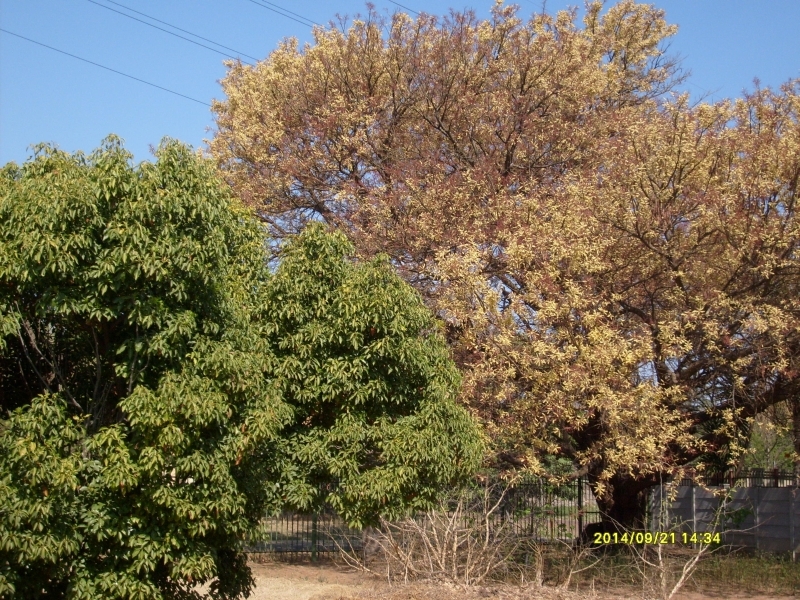 Soon the tree will be dressed in summer green. And this is what it looked like last month, on 21 September. In summer it is all green, and sometimes a resting place for butterlies on their migratio9n to Madagascar, or wherever it is they go. 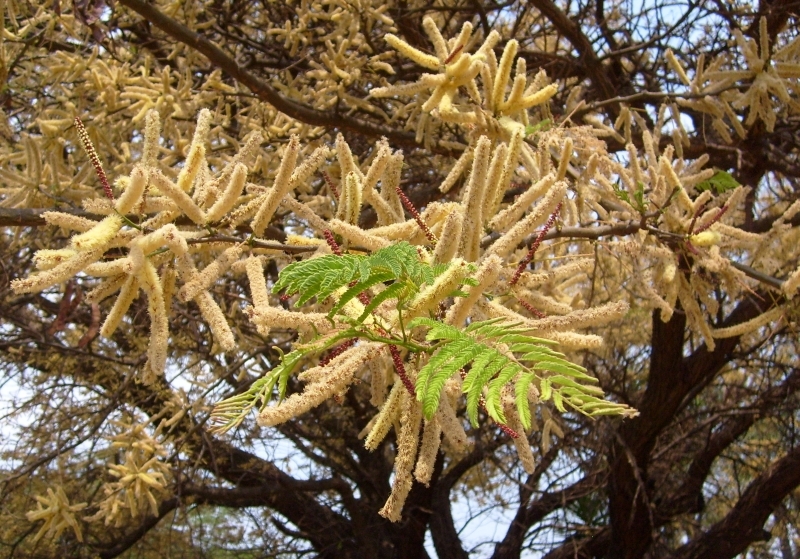 The catkins will turn to seedpods, and before we know it, it will be autumn again, and it will be a different shade of yellow, and the brown seedpods dropping all around. In correspondence with Gunter von Schumann of the Windhoek Scientific Society (who helped us a great deal with out family history research in Namibia last year) he mentioned that some cousins were buried in Tshwane. We discovered that they were buried in Silverton Cemetery, which is probably the closest one to where we live, and we went along to see the grave. 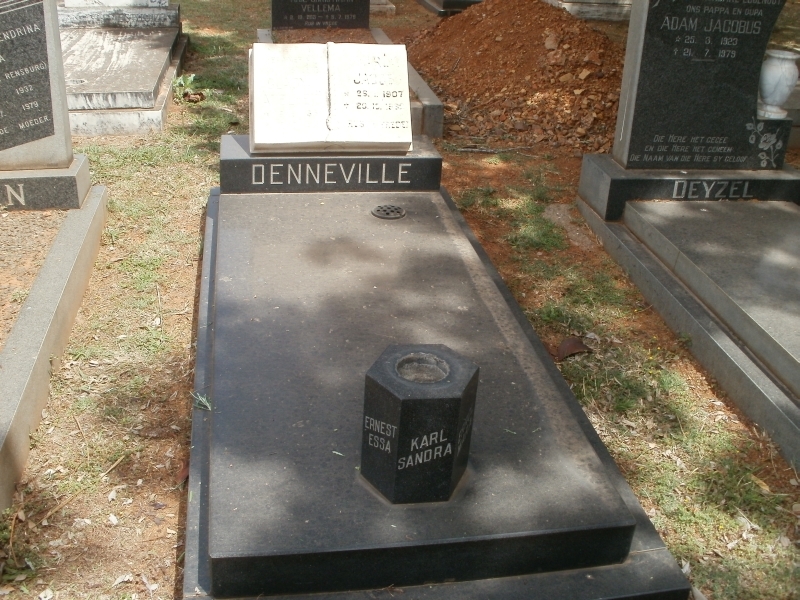 They were Karl Jacob Denneville (1907-1982) and Gladys Adelheid Denneville (1915-1979), both Val’s second cousins twice removed, and second cousins to each other, all being descended from Francis Stewardson and Frances Morris. Gladys Adelheid (or Adelaide) Lindholm was the daughter of Gustav Adolph Lindholm who was born and died in Omaruru, and Johanna Susanna du Plooy. Gunter von Schumann drew our attention to the record of the gravestone on the eGGSA website here, but as the inscription was faded and hard to read, and the cemetery was nearby, we went along to have a look at it. The cemetery is in the middle of the industrial area of Silvertondale, a kind of oasis of spring green peace. We drove down Cemetery Street, turned around at the end, and wondered where to start looking for the grave. We stopped under a suitable shady tree, and thought that graves dated from the late 1970s would be a good place to start, but even before we got out of the car we spotted the grave, about four away from the road. The grave, like many other nearby ones, had a granite base, but the part with the information we were looking for was made of marble, and the paint had peeled out of the inscription, which, after 30 years, was barely readable. That is probably the result of of industrial pollution and acid rain. Granite is a much more long-lasting material. It seemed like a good opportunity to try the BillionGraves app on my cellphone, but we had some problems with it, so took some photos with our ordinary cameras as well, and when we got home entered the results into the Find-a-Grave web site, using the full dates instead of the years only recorded on the eGSSA web site. The BillionGraves application sounds useful, but we found it difficult to use. Find-a-Grave is easier, and both do roughly the same thing. For more infor on the comparison between them, see our other blog.